Every year in March, the world comes together for International Women’s Day as a way to celebrate the achievements of women and to shine a light on women’s rights. 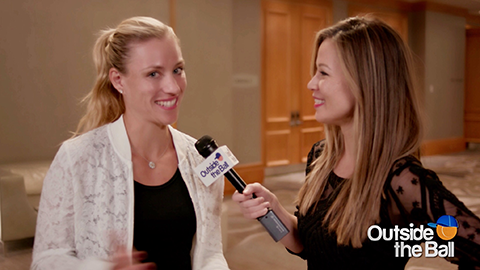 To mark the occasion Outside the Ball host Mayleen Ramey spoke to WTA stars Angelique Kerber and Coco Vandeweghe about the women who inspire them. When it comes to the court, Angelique also described which famous tennis player she idolized as a child. “When I was growing up it was always Steffi Graf, my tennis idol. She was always inspiring me! I know the feeling when you meet your inspiration and you’re really nervous actually. In front of me it was Steffi and I was like ok what can I ask her?” Kerber reminisced with laughter. We enjoyed learning about the influential women behind our favorite tennis players and we hope you are able to spend the day with the women who inspire you!